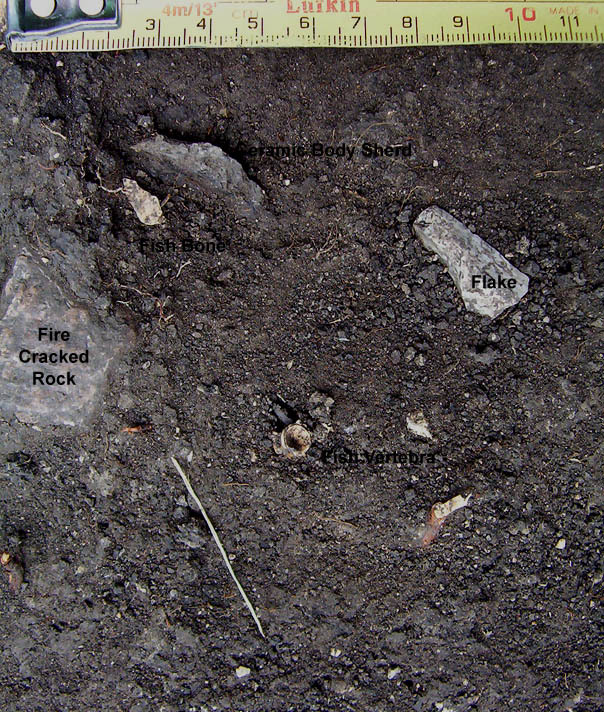 Evidence of everyday life is reflected in the artifacts and features recovered at the site. 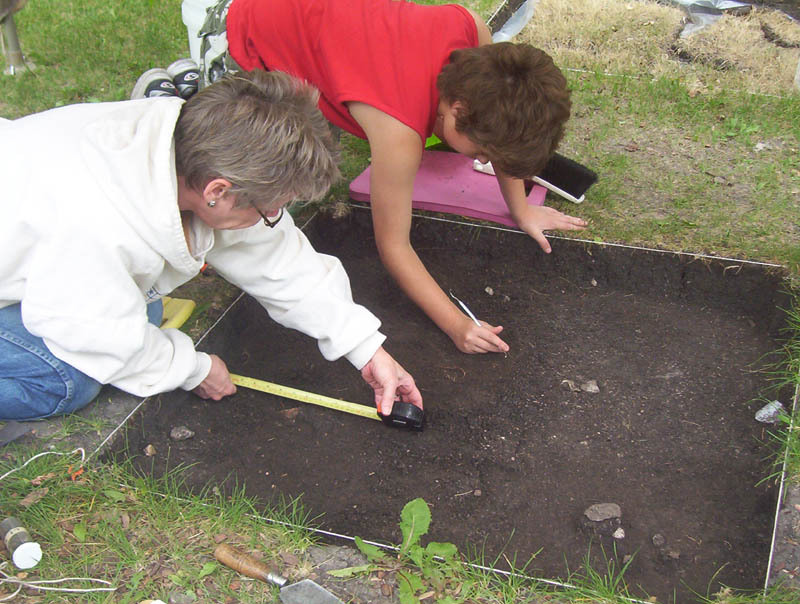 There were campfires, plant and animal food remains, such as plum pits and hazelnut seeds, as well as ceramic containers. 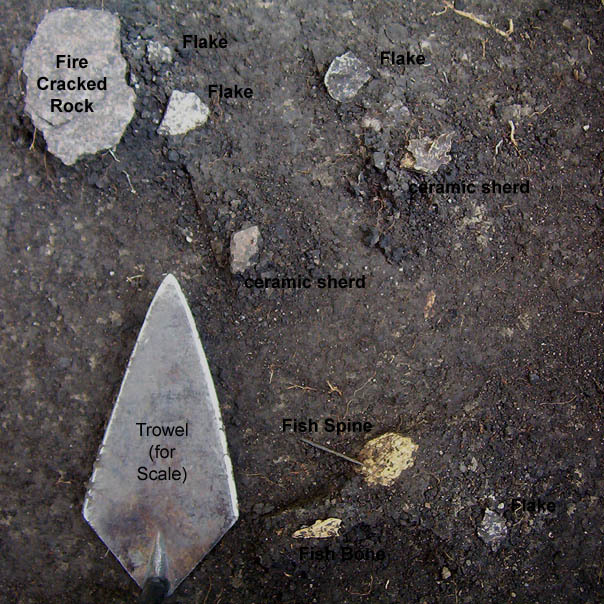 Complete and broken scrapers indicate that hides were being processed. One of the scrapers was broken in half and then refashioned, or repaired, along one edge so it could still be used. 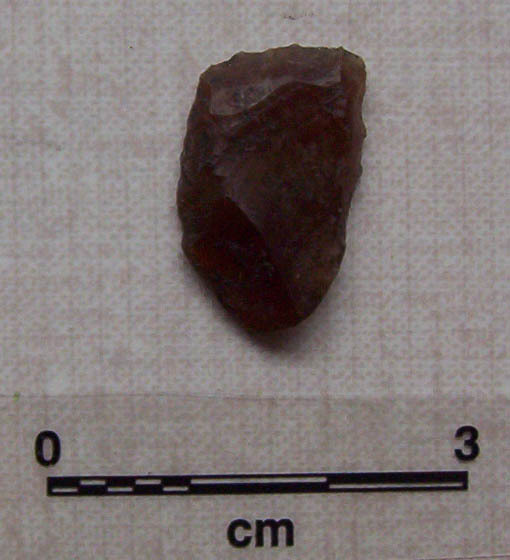 Stone tools such as knives, gravers and broken projectile points were also present at the site. 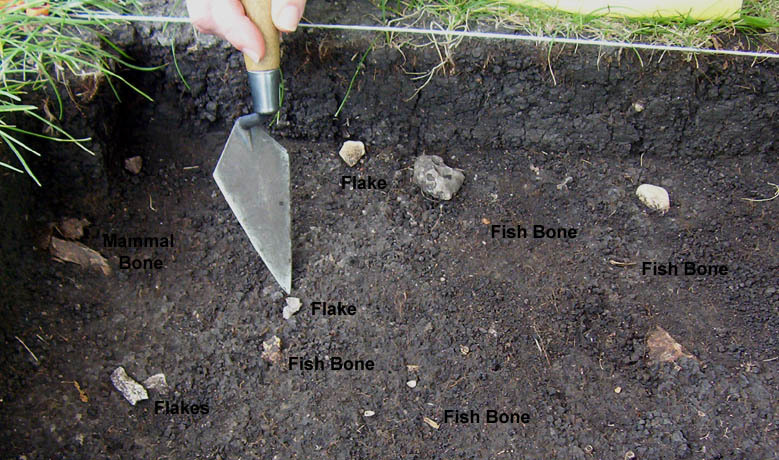 Today, further evidence of daily life was revealed with fragments of ceramics, flakes, fish, animal bone and fire-cracked rock.